Bring your PICO question and preliminary results (a few relevant studies) as you scope the literature for evidence. NYU Libraries has arranged TRIAL access to Sociometrics EBP Evidence Based Programs and Capacity-Building Tools through January 15, 2018. Evidence Based Programs and Curricula for delivery to students, patients and community members by health educators. Capacity-Building Tools to enhance the professional development of healthcare professionals. NYU Libraries has arranged trial access to BMJ Best Practice now through December 31, 2017. 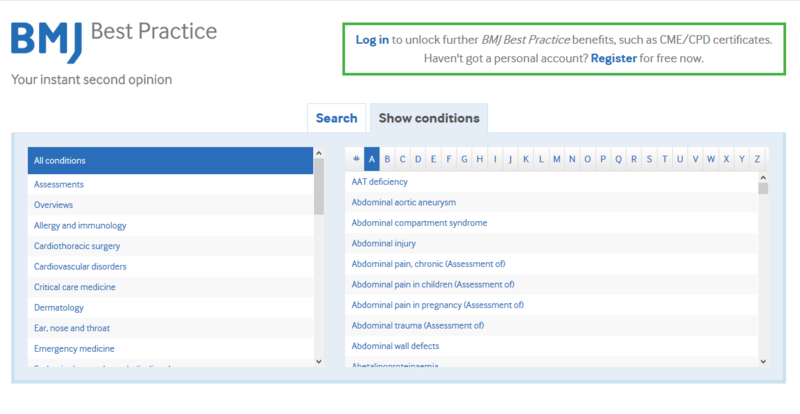 BMJ Best Practice is a new concept for information delivered at the point of care. In a single source there is a combination of the latest research evidence, guidelines and expert opinion – presented in a step-by-step approach, covering prevention, diagnosis, treatment and prognosis. Best Practice provides a second opinion without the need for checking multiple resources. Its patient-focused approach represents an advancement in information delivery at the point of care. Please share your opinions by sending an email to Susan Jacobs at susan.jacobs@nyu.edu. show you how to automatically create bibliographies in your desired style (APA, MLA, etc) directly from your account. In this class emphasis is placed on importing references from the PubMed database.